with solar and VerdeVault™ energy storage. Imagine being able to automate how your home or business uses power so that you always get the best value for your energy dollar. Our system seamless integrates with other smart home systems and devices to continuously evaluate how your home or business is using power, and automatically makes sure that power comes from the lowest cost source. 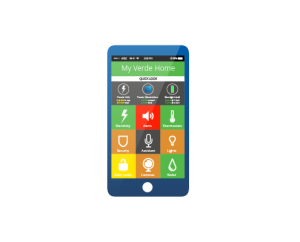 With our mobile app, you can monitor and manage your power from anywhere you are. 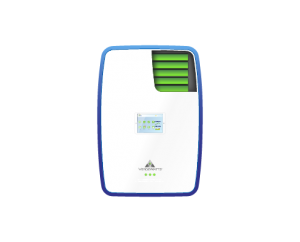 You benefit from lowered energy costs, and protection against power outages. VerdeVault is a battery that stores energy from the sun to provide clean, reliable power from solar energy when the sun isn’t shining. Use it to reduce your power bills, to serve as a backup energy supply, or to power your home independently from the grid. Generate clean, sustainable energy with a solar system from VerdeWatts. Gain reliability and control over your energy. 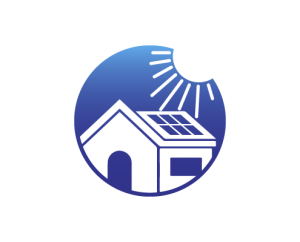 Get more from your solar: store energy with VerdeVault®. With VerdeVault, you have reliable energy available all the time. Manage your energy from anywhere you are. Our energy management app delivers alerts when your attention is needed.